See you at NyanCon! We’ll be the ones in full costume with the free manga. Do you love anime? Gaming? Comics? All of the above? Then you’re going to love NyanCon. NyanCon is Lakeland Community College’s annual convention dedicated to anime, manga and all things awesome. It’s from 1 to 11 p.m. on Saturday, Oct. 3. 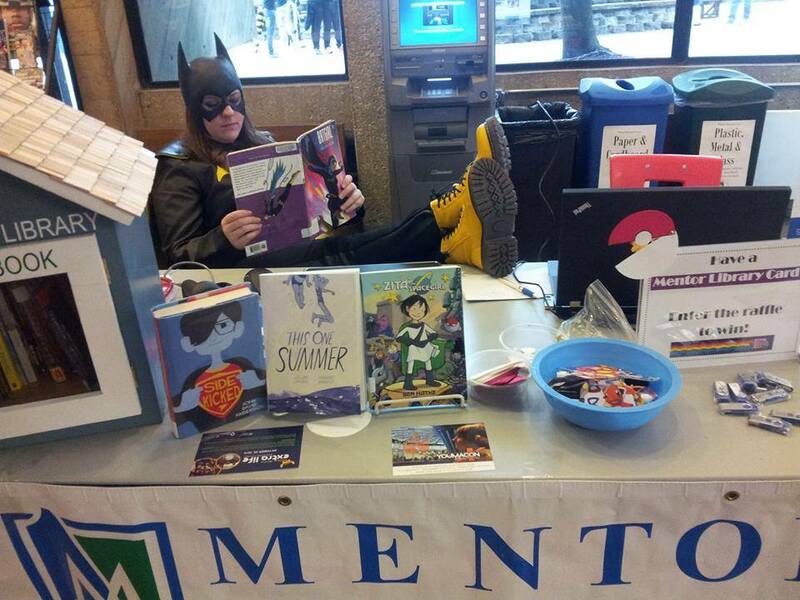 Mentor Public Library will be there giving away free manga. (Yes, giving them away for free.) That includes trades of Fullmetal Alchemist, Death Note, Tokyo Mew Mew, Dramacon and more. Get them while our supplies last. We’ll also be making crafts, if you want to join us. In addition, NyanCon will have special guests like inker Jeremy Freeman, artists Del Borovic and J.M. Dragunas, voice actors Daman Mills and Amber Lee Connors, Love and Capes creator Thom Zahler, and more. There will be panels, vendors, a cosplay contest and all sorts of other fun. Hopefully you’ll be there too. This entry was posted in Uncategorized and tagged anime, comics convention, Lakeland Comm, manga, Mentor Public Library, NyanCon. Bookmark the permalink.